[ Smart technology is undoubtedly affecting people’s lives and several work industries. Although technology affects every aspect of the society, many countries are in different stages of innovation than others. Specifically, different parts of the world are in different stages of technological evolution. In developed countries, it is not uncommon to encounter more future-oriented features of artificial intelligence, while in developing countries; the rage is all about internet connectivity. Smart City has become an increasingly popular term in recent years; but what exactly are Smart Cities? Computer Business Review asserts that a Smart City is an ever more prevalent urban development strategy that uses new technological advances to tackle its problems, often by collecting massive amounts of data gathered from the daily actions of its inhabitants in order to find the most efficient way to run certain systems in future. Smart cities seem to be growing not only theoretically, but in real life as well. For a city to be considered smart, the degree of innovation plays a huge factor as it measures how communities utilize and benefit from smart technology. The most obvious feature of smart cities is the planned community. Everything seems to follow a certain pattern, there is a deliberate order in the way of life that emphasizes on energy efficiency and sustainability. Other than the dull and bureaucratic stuff, there is also the fun part of smart cities. Imagine a city full of screens everywhere. Instead of the usual billboards and posters, imagine a town full of screens that grab your attention at every turn. In Nairobi, there are several public display screens; like the one on Kimathi Street, that screens local shows like Churchill Live. Imagine several of those on every street that screen different things, including your favorite World Cup team scoring the winning goal! While there may be negative aspects to being surrounded by screens at all times, the smart City of the future would embrace electronic displays to make information more easily accessible. Instead of being another platform for advertisers, the ubiquity of smart signage could be used to display ambient settings or provide instant updates on everything from public transport to important news. 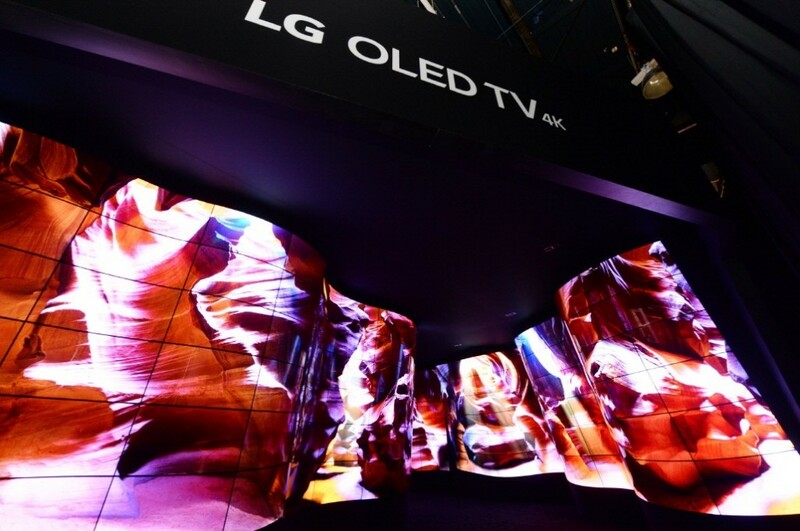 Presently, LG’s range of OLED signage solutions offer the ideal package for future city planners looking to liven up public areas with interactive displays. In addition to offering the highly accurate picture quality that has made OLED famous, these screens are both flexible and Dual-sided. The impact would be phenomenal. There would be higher economic productivity and increased potential for new revenue streams and services, especially by hooking travelers on transit. Who wouldn’t want to live in such a smart city!